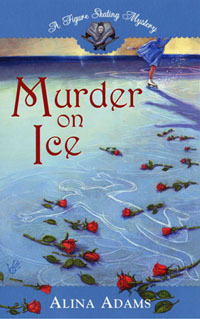 Figure Skating Mystery: LITTLEST. FUED. EVER. First, there was Paris Hilton and Nicole Ritchie. Then (in descending order) Donald and Rosie, Jeremy Priven and John Cusack, followed by two random guys fighting over a parking space. And now comes Mark Lund and Johnny Weir. 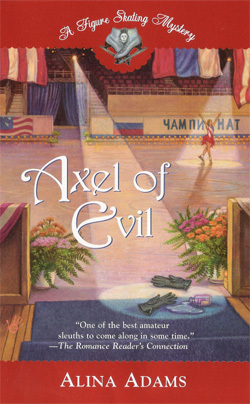 Does anyone, anywhere really care what the former editor of International Figure Skating Magazine said about the U.S. Men's Figure Skating Champion on an obscure television show so far up the cable dial even infomercials don't bother with it? Of course, this fued coming out (no pun intended) as Mark has a new magazine to promote and Johnny is headed into a National Championship its uncertain he's favored to win couldn't possibly be contrived on their parts, could it? They couldn't both be fanning flames for the purpose of self-interest, trying to remind the indifferent world at large that their opinions are relevant. Or even that they, you know, are still alive. No one would be that desperate, would they? Johnny is a beautiful skater. However, if you don't play the game, most likely you will not get where you want to go. Ask Surya Bonaly. Evan has already proven to be a better international competitor than Johnny. If Johnny puts the work into skating that a World Champion needs, he isn't going to get there. The word is "feud". Just thought you'd like to know. While Johnny might be a fine skated, I can't get past his diva attitude to want to watch him skate. He acts like a spoiled queen. 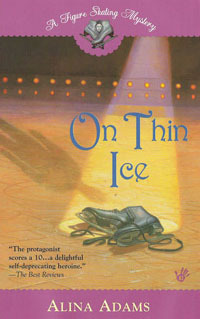 Considering you say you wrote for International Figure Skating for several years, you ought to know Mark Lund was the publisher. Some woman was the editor. Remember her?